Philip W. Scher is Associate Professor of Anthropology at the University of Oregon. He has worked in the Caribbean since 1993 and his recent publications include Trinidad Carnival: The Cultural Politics of a Transnational Festival (with Garth Green, 2007) and Carnival and the Formation of a Caribbean Transnation (2003), as well as a number of articles on Caribbean heritage, folklore, religion, art and politics. 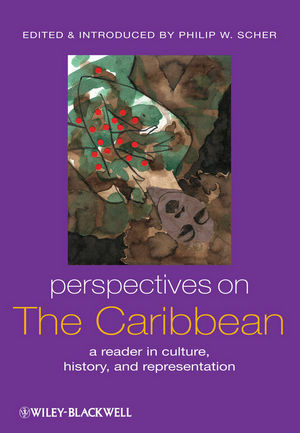 Introduction: The Caribbean in Perspective (Philip W. Scher). Part I: Living and Livelihood. 1. Houses and Yards among Caribbean Peasantries (Sidney W. Mintz). 2. Women in Jamaica’s Urban Informal Economy: Insights from a Kingston Slum (Faye V. Harrison). 3. To Give and Take: Redistribution and Reciprocity in the Household Economy (Mona Rosendahl). Part II: Questions of Identity: ""Race,"" Ethnicity, Class, and Gender. 4. What is ""a Spanish""? Ambiguity and ""Mixed"" Ethnicity in Trinidad (Aisha Khan). 5. Homosexuality, Society, and the State: An Ethnography of Sublime Resistance in Martinique (David A. B. Murray). 6. Reconstructing Racial Identity: Ethnicity, Color, and Class among Dominicans in the United States and Puerto Rico (Jorge Duany). Part III: Culture and Performance. 7: Joking: The Training of the Man-of-Words in Talking Broad (Roger D. Abrahams). 8: Rara as Popular Army: Hierarchy, Militarism, and Warfare(Elizabeth McAlister). 9: Celebrating Cricket: The Symbolic Construction of Caribbean Politics(Frank E. Manning). 10: Copyright Heritage: Preservation, Carnival and the State in Trinidad (Philip W. Scher). 11: The Faces of the Cosmic Gods (Leslie G. Desmangles). 12: Selection from Rastafari and Other African-Caribbean Worldviews (Barry Chevannes). 13: ""Official"" and ""Popular"" Hinduism in the Caribbean: Historical and Contemporary Trends in Surinam, Trinidad and Guyana (Steven Vertovec). Part V: Globalization, Migration, and Diaspora in the Caribbean. 14: Globalization and the Development of a Caribbean Migration Culture (Elizabeth Thomas-Hope). 15: ""The Blood Remains Haitian"": Race, Nation, and Belonging in the Transmigrant Experience (Nina Glick Schiller and Georges Eugene Fouron). 16: Designing Women: Corporate Discipline and Barbados’s Off-shore Pink-Collar Sector (Carla Freeman).